3rd place overall – women’s race. 5 K Trail Run, 7.5 KM Mtn. Bike, 5 KM XC Ski. Winter Triathlon – Gunstock, NH- Qualified for ITU World Winter Triathlon Championships in Austria. January, 2009. 1st placeoverall – women’s race winner. 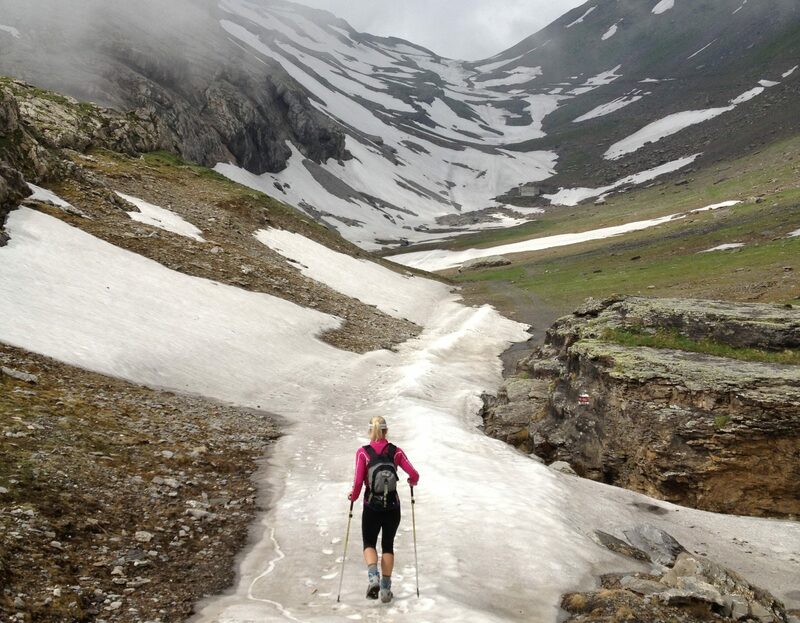 4 K Trail Run, 6 KM XC Ski, 4 KM Trail Run. Winter Duathlon – Weston, MA. March 2, 2008. 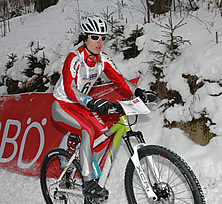 1st placeoverall – women’s race winner. 5 K Trail Run, 7.5 KM Mtn. Bike (on snow), 5 KM XC Ski. Winter Triathlon – Weston, MA – Qualified for ITU World Winter Triathlon Championships in Germany. January 26, 2008. Could not attend due to HS coaching commitment at home. 1st placein age group – 3rd overall for females. 10 KM Skate Race – Mt. Washington Cup Race, Bretton Woods, NH. March 2007. 1st placein age group – 4th overall for Females. 25 KM Skate Ski Race – Rangley Lakes Loppet, Maine. March 1, 2003. 1st placeoverall for females. 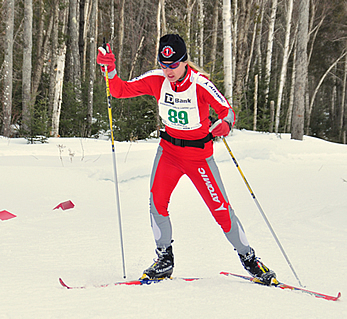 Prospect Mountain, VT – 5 KM Open Skate Ski Race. January 25, 2003. 2nd place overall for females – Great Glen to Bretton Woods Adventure 25 KM Half-Marathon Classic Ski Race, NH. February 29, 2004. 6th place in age Group – 10 KM Skate Race – NENSA Eastern Cup Event, Hanover, NH. February 9, 2003. 1st place in age group – Cooperstown Triathlon, Cooperstown, New York – May 2013. Grandfundo Garneau-Cascades 110 KM Bike Race – Quebec City, Quebec August 2013. 19th place in age cat. 1st place in age group – 3rd place overall female. N’oreaster Reverse Triathlon, Biddeford, Maine – April 2012. 2nd place in age group,4th place overall – Cooperstown Triathlon, Cooperstown, New York – May 2012. 3rd place place overall female – Camden Bike Time Trial Camden, Maine – May 2012. 2nd place in age group, 9th place overall – Pumpkinman Triathlon, Berwick, Maine – Sept. 10, 2011. 2nd place in age group, 7th place overall – Tri for Preservation, Cape Elizabeth, Maine – August, 2011. 1st place in age group – 3rd place overall females. Midcoast Bike Time Trial, Camden, Maine – May, 2011. 2nd place in age group – Brunswick Bike Time Trial, Brunswick, Maine – July, 2011. 3rd place age group. York RC Turkey Trot 5K Run, York, Maine – November 27, 2010. 14th place overall coed team – 10th place overall fastest bike split. Lobsterman Triathlon, Freeport, Maine. September 18, 2010. 7th place in age group. York Hospital 5K Run. York, ME. June 2010. 3rd place overall female – 7th place overall females & males. Kennebunk Fire Duathlon, Kennebunk, Maine. August 31, 2009. 1st placein age group.York Hospital 5K Run. York, ME. June 2009. 1st placein age group. Tri-Clough YMCA Triathlon. Weare, NH. Sept. 8, 2007. 1st placein age group – 3rd place overall females. SMCC Time Trial. Kennebunkport, ME. August 5, 2007. 1st placein age group – 7th place overall females. Summer Sizzle 5 Mile Running Race. Utica, NY. June 24, 2007. 1st placein age group. West Kennebunk Triathlon, Maine. August 10, 2003. 2nd place in age group – 6th place overall females. New London Triathlon, NH – August 3, 2008. 2nd place in age group – 7th place overall females. Seacoast Time Trial, Kennebunkport, Maine – May 5, 2007. 3rd place in age group – 9th place overall females. Maine State Triathlon, Bethel, Maine. July 26, 2003. 4th place in age group. Timberman Triathlon, Laconia, NH. August 18, 2007. 7th place in age group. Pumpkinman Half-Iron (70.3) Triathlon, South Berwick, Maine. September 13, 2009. 7th place in age group. Rye-by-the-Sea Duathlon, Rye, NH. May 27, 2006. 8th Place in age group. The Mooseman Triathlon, Waterville Valley, NH. June 26, 2004. 12th place in age group. Mooseman Quarter Iron Triathlon, Bristol, NH – June 6, 2008. 12th place in age group. Mooseman Quarter Iron Triathlon, Bristol, NH. June 2, 2007. 12th place in age group. Timberman Triathlon, Laconia, NH. August 19, 2006. 10th place in age group. Newburyport Triathlon, Newburyport, MA. July 2006. 11th place in age group. The Lobsterman Olympic Distance Triathlon, Freeport, Maine. September 7, 2003.